Dasher, Dancer, Prancer, Vixen, Comet, Cupid, Donner, and Blitzen are lead by Reindeer when making Chirstmas Eve deliveries to the millions of children around the world! However, Santa has LOTS of Reindeer friends! So remember to keep your eyes peeled no matter where you are and you might spot some of his furry friends in the wild! As you may remember from the song, Rudolph has always had his very shiny nose. 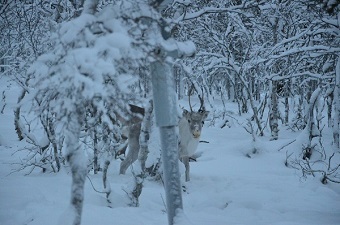 In fact, at the start the other reindeer even used to tease him for it. On a particularly foggy Christmas Eve, the glow from Rudolph's nose was able to light the way for Santa's sleigh. After this, the other reindeer were gleeful and they are now best of friends with Rudolph! 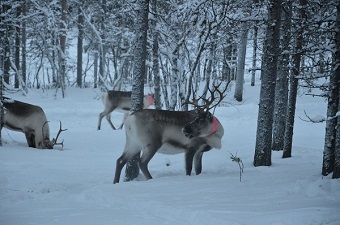 It takes lots of years of practice and hardwork to train Santa's reindeer for their special journey on Chirstmas Eve! 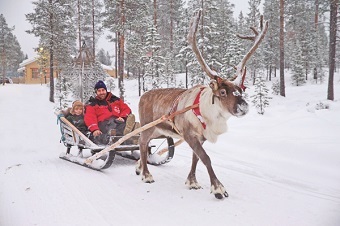 Pulling a sleigh, filled with toys and Santa is no small feat. Depsite all the training the Reindeer go through, Santa needs a little bit of extra magic to make sure he and his Reindeer friends have a successful trip! 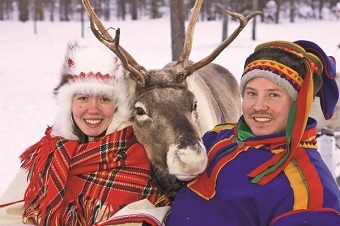 Santa and the Elves take a LOT of pride in all of their Reindeer and they are part of their family! It takes a team to make sure everything goes according to plan not just on Christmas Eve, but all year round! 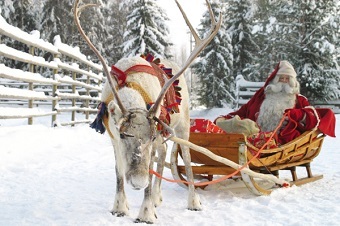 The Reindeer are a very valuable part of that team, so they are cherished and loved by Santa and the Elves! Without them, how else would Santa get around?! I can't wait for you to meet more of our lovely Reindeer!